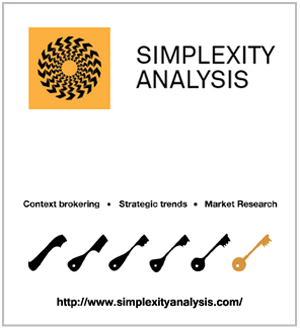 Simplexity Analysis are a UK based company specialising in context brokering and analysis and apply this emerging data discovery and information management methodology across a wide range of research problems and market research exercises, having previously undertaken futures-related projects with the UK Ministry of Defence’s Development, Concepts and Doctrine Centre (DCDC), United Nations Development Programme (UNDP) and Global Map Aid. 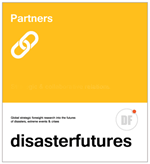 Simplexity Analysis will act as a technical partner to disasterfutures, working with us to provide context brokering capabilities for our projects and offering their expertise with data and research process design and data searching, modelling and mapping, including making data sets available for distributed online use and offering a range of data visualisation and manipulation options for clients. Please visit out Context Brokering page to find out more. Data Visualisation – development of bespoke scripts and tools for visualising and mapping different information and data requirements. An in depth awareness of a wide range of software solutions to improve analysis processes for busy decision makers.